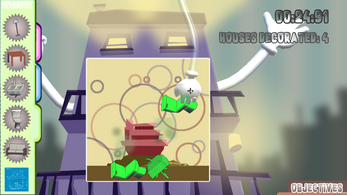 Disclaimer: Make sure to play the game at a resolution of 1920x1080. 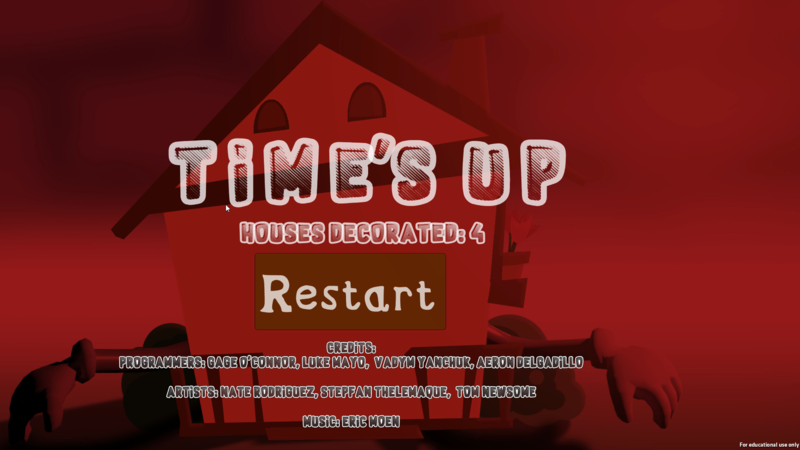 You play as a house that is decorating a house inside of itself. 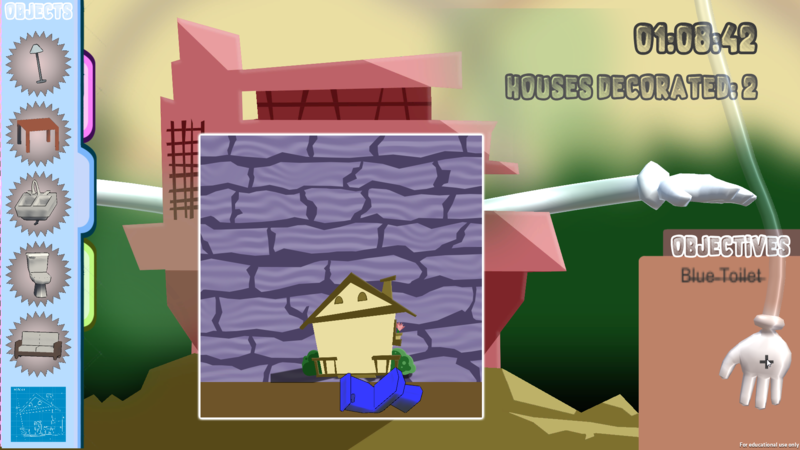 Place the correct items inside the house, and progress deeper into the next house. 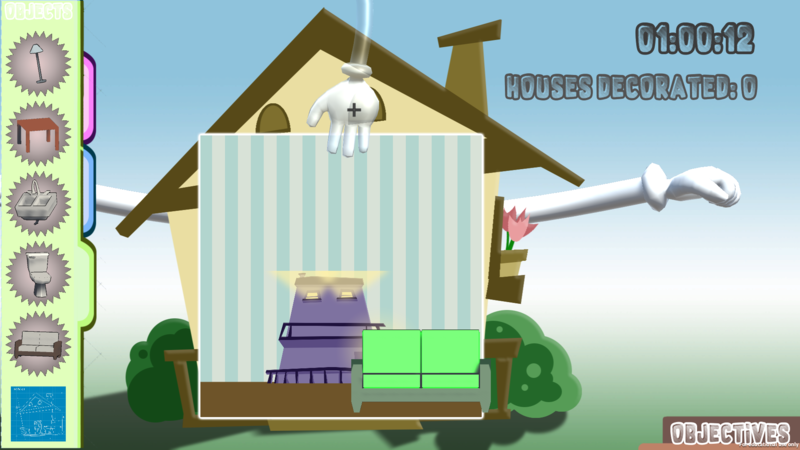 - Hover over the Objectives Tab to see what pieces of furniture the house requires. - Click on the colored tabs to set what color furniture you will be getting. - Click on appropriate button to spawn that furniture. - Click and hold to drag furniture to the inside of the house. 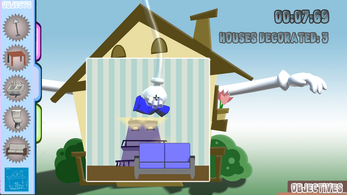 - Once furniture is released it can no longer be picked up again. 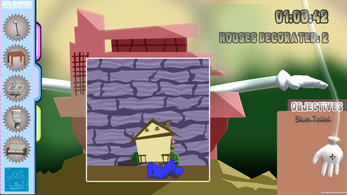 - Once all required pieces are crossed off click on the blueprints to finish the house. 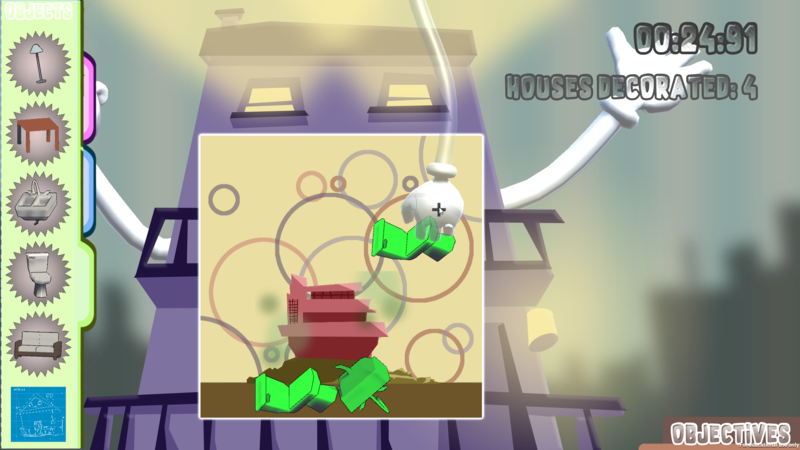 - Placing an incorrect piece will cause the house to get angry and smack it away. - All furniture pieces need to remain in the house to complete that house; if a piece leaves it needs to be replaced. Mouse: Move hand with cursor. Click to activate buttons and hold to drag furniture.